The latest medias to be introduce by HP have been designed with significant environmental advantages while still remaining economical. 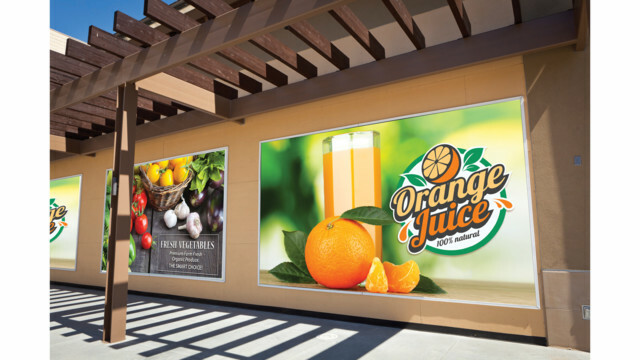 The HP permanent gloss adhesive vinyl and the HP permanent matte adhesive vinyl are ideal for a wide range of indoor and outdoor applications, including event signage to retail displays, and deliver vibrant, long lasting images with a high quality finished look. Optimised for HP Latex printers the HP permanent gloss adhesive vinyl and the HP permanent matte adhesive vinyl are REACH-compliant which offers print service providers an alternative vinyl which offers greater environmental advantages at a lower cost. Each vinyl has been manufactured with a thicker release liner and a more stable design to avoid bubbling and wrinkling during production. While the thicker media makes it easier to handle and install. Un-laminated laminated prints last up to 3 years outdoors while laminated prints can last up to 5 years. HP permanent gloss adhesive vinyl and the HP permanent matte adhesive vinyl are available in 30in, 36in, 42in, 54in and 60in widths.